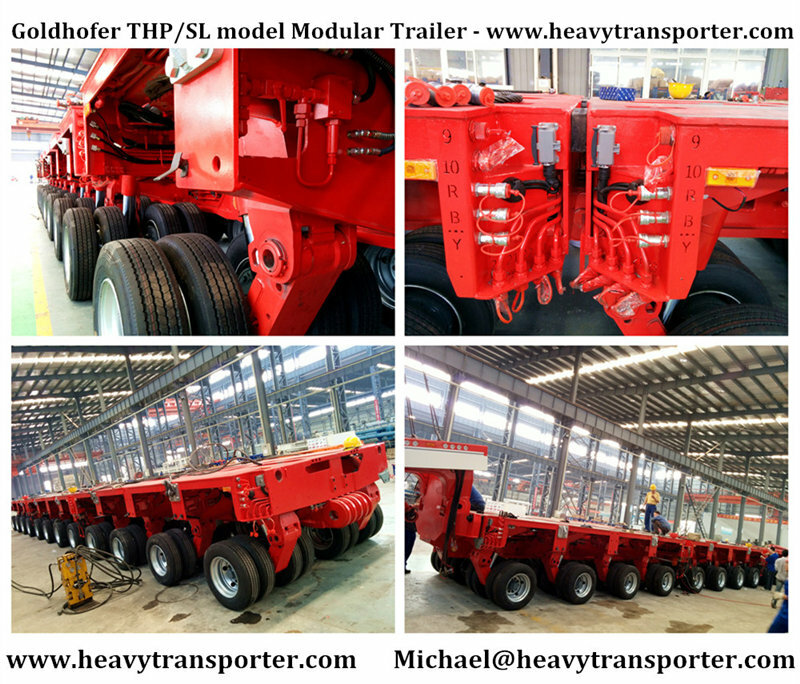 Goldhofer THP/SL model Modular Trailer in ball bearing race ring design are especially designed for heavy-duty loads in off-road applications. 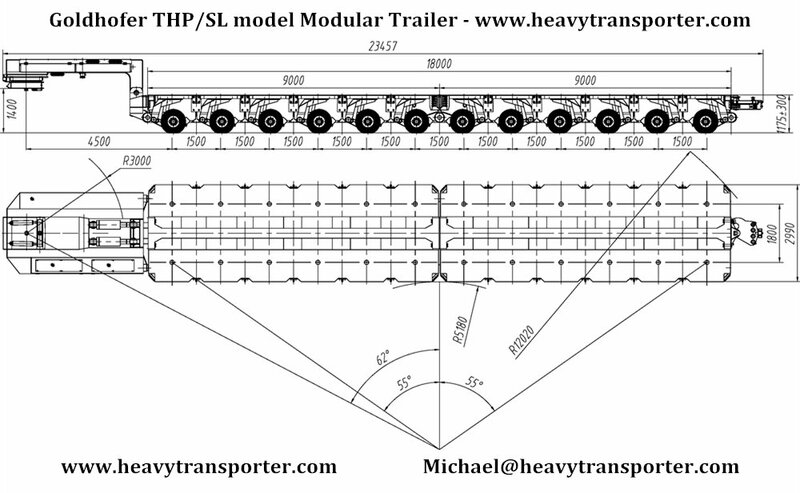 The robust design and high bending moment ensures safety and availability even in extremely rugged terrain. 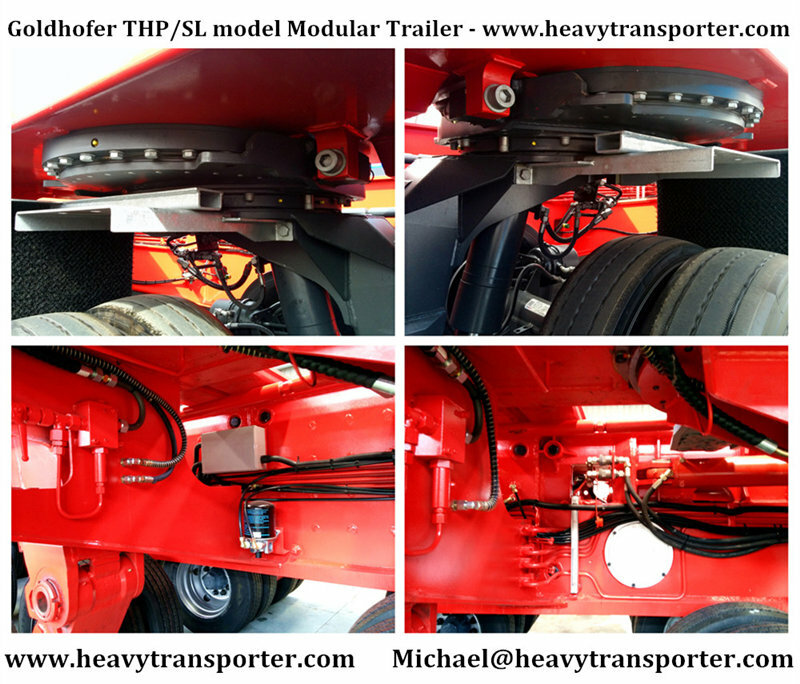 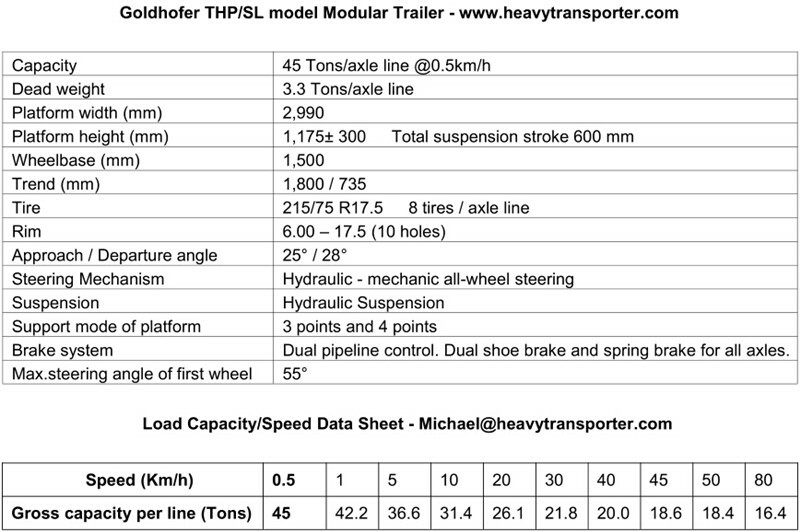 Goldhofer THP/SL model Modular Trailer are predestined for use in flexible and economical transport applications.